I will be writing, have been writing, or have already written (depending on when you see this. 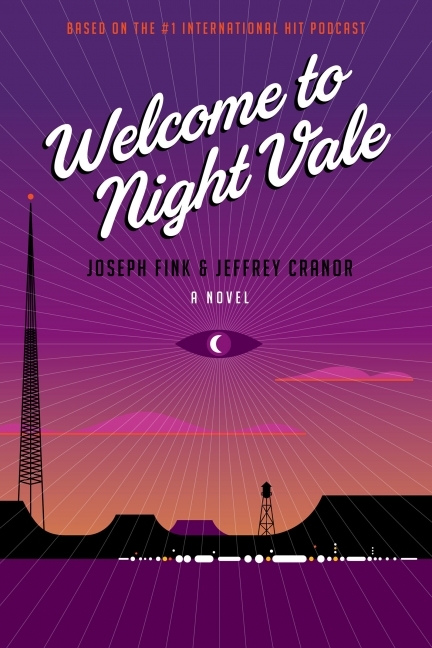 Time is strange here on GR) a review of Welcome to Night Vale. But until/when/after I do (or until you return from whatever time stream you are in to read this, or move ahead into another one) I can offer one definite bit of advice. 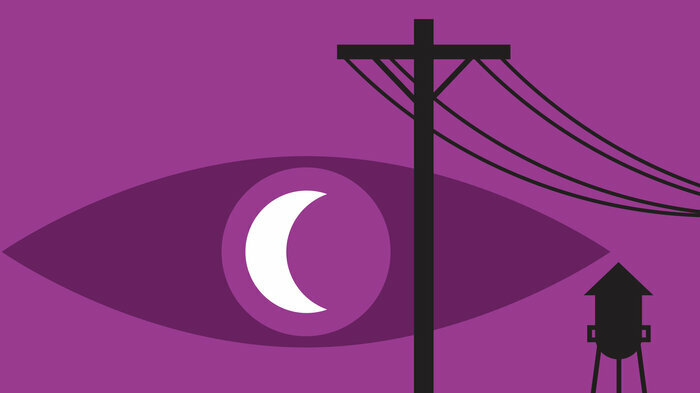 Listen to a few of the Night Vale podcasts. If they float your boat, or, lacking water, elevate you at least several inches off the ground for a period of about twenty minutes, you will love this book. Proceed directly to the beginning of the actual review. It is a friendly desert community, where the sun is hot, the moon is beautiful, and mysterious lights pass overhead while we all pretend to sleep. Whew! I’m so glad we got rid of those people. 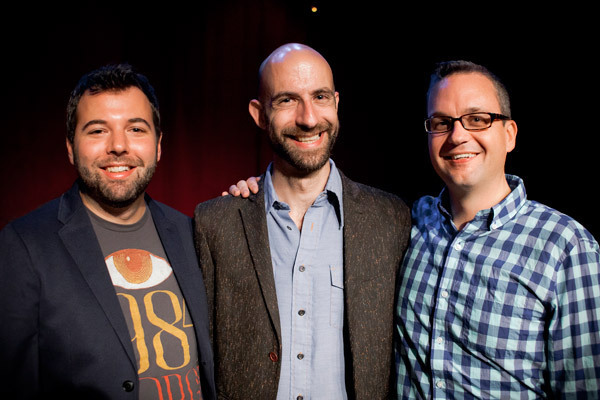 In July, 2013, Welcome to Night Vale became the most downloaded podcast on iTunes. It all began in 2012, a twice-a-month podcast that is Lake Wobegon by way of David Lynch, Lovecraft, told in the form of a community radio newscast. It is read by Cecil Baldwin who shares a first name with his fictional manifestation, Cecil Palmer, the radio broadcaster. The podcast is weird, creepy fun, rich with non-sequiturs and reasons to be afraid, many reasons. Cecil’s steady tones make it seem practically normal. And whether it was a result of a desire for expression in a new medium, an action taken in compliance with an order from one of the hooded figures in the dog park, or an angel in old woman Josie’s house, Fink and Craynor have committed their world to print. We, as readers, seem to have a soft spot for this genre. I don’t know if there is a name for the type that this fits into, storytelling-wise, but if there is a short term for “A small town where something is…off,” this book would fit in there quite nicely. (I know it is far from wonderful, but I hereby nominate the word “Oddsville” for the genre, capital of the great state of Unease. All in favor?) There is a rich tradition of such writing. Rod Serling was a fan of this trope in his Twilight Zone writing (Where is Everybody? , Monsters are Due on Maple Street, People Are Alike All Over). Stephen King has made a career in them, Derry, Castle Rock, Jerusalem’s Lot…ad infinitum. TV has mined this heavy lode as well. In addition to Twilight Zone, Outer Limits, X-files, and god-knows how many more, there are some more recent shows that indulge, including Wayward Pines, the town of Hope in The Leftovers, Haven, Eureka, Royston Vasey from The League of Gentlemen. Small towns, it would appear, are in our literary, and certainly in our entertainment DNA. 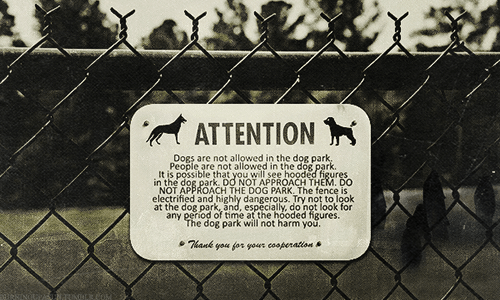 So the something-off-small-town of Night Vale should feel familiar. Of course this one is a bit more unusual than your typical Oddsville offering, being rather flamboyant in its strangeness, to the point of silliness at times. As for the story, Jackie Fierro has been 19 for many, many years (like some of us?). She runs the town pawn shop, and will accept pretty much anything. A mysterious man in a tan jacket, gives her a slip of paper with “KING CITY” written on it. Every time she tries to get rid of the thing, or even to put it down, it keeps coming back to her, which, as you might imagine, is alarming. So she goes in search of tan-jacket man but no one in town can seem to recall seeing him. Hmmm. Diane Crayton is a single mom to a shape-shifting fifteen-year-old son (what parent of a teenager cannot relate?). Of late she has been seeing Josh’s long absent Y-chromosome source all over town. Josh has been showing an interest in tracking down his father, despite Diane’s attempts to dissuade him. Diane and Jackie’s quests, and Josh’s too, lead them in a direction that is as obvious as an MC Escher roadmap. Does an endpoint even exist? 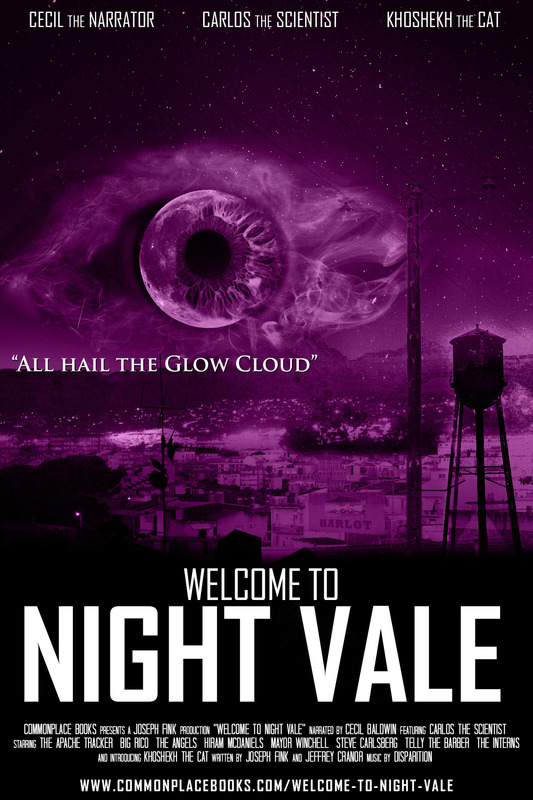 Diane and Jackie are certainly likeable sorts, and their tale is intriguing, with plenty of challenges to face and mysteries to solve, but the real deal with Welcome to Night Vale consists of three things, location, location, location. Fink and Cranor are trying to re-create in book form the delightfully weird experience of their podcast world. The story seems secondary. The atmosphere is rich with intense strangeness. I found most of it delightful, a dry delivery masking outrageousness. Sometimes they try too hard, generating eye-rolling that has been made mandatory by the City Council. You really, really do not want to fight city hall here, particularly on days when human sacrifice is on the calendar. But it is good, weird fun most of the time. The authors must have had some bad experiences with librarians in their youth. Literary comeuppance is had. The locale includes, among other things, roads that lead nowhere, mysterious lights floating above the town, black helicopters, yes those black helicopters, a faceless old woman who lives, unseen, in someone’s house, a sentient house, a diner waitress who struggles with fruit bearing tree branches growing from her body, car salesmen who offer howlingly good deals, a woman who keeps reliving her life in a perpetual loop, a sentient patch of haze, angels named Erika, people who exist but when you try to recall them, you can’t. Wait, what was I talking about? I just bet that if someone opens a nightclub in NV, they name it Studio 51. The list goes on, plenty to keep your brain engaged and your funny bone tickled. When you partake of the Night Vale Kool Aid, you will be joining a horde that has sprung up in impressive numbers. There are fan sites galore, with artwork, fan fiction, and a host of ways in which what remains of your consciousness can be further shaved and fed to the glow-cloud. I have included some links to those in the usual place. Fink and Cranor’s sense of humor is definitely not for everyone. But if you check your kitchen cabinets and find that your supply of weird is running a little low, I suggest heading over to Night Vale. They are running a special and you won’t want to miss out. PS – more volumes are planned. Be sure to keep up with your local community newscast for further details. A fun vid from the Idea Channel that links Night Vale to HP Lovecraft – How Does Night Vale Confront Us With the Unknown?